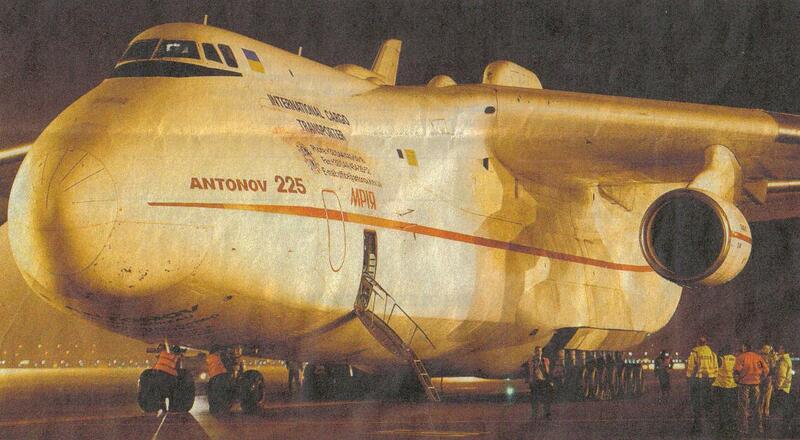 The Antonov An-225 is the largest airplane in the world. It was designed by the Ukrainian Antonov on the basics of the An-124. Only one aircraft has been build and was originally meant to carry the space shuttle. The aircraft is now operated by a Ukrainian civil airliner. It is often chartered by air forces around the world for large cargo transport missions.